We made our way, slowly, to Cleveland on Saturday morning. It was nice to not be in a rush and have time to kill. We did a little bit of shopping at Millcreek Mall in Erie, PA; then, a stop for lunch at Chick-fil-A. This is the closest Chick-fil-A to Buffalo (at least for now) and we don’t get it very often, so we had to take advantage of it. I also had to stop at Giant Eagle, where I found a super cute Pittsburgh-themed shopping bag (despite being in Erie) for only $2.50. Hey, I’ll take it. Once we got over the Ohio border, it was onward from there. We had a decent hour to waste before we could check into our hotel, so we decided to head to Beachwood Place Mall. This was easily one of the most upscale shopping centers I’ve ever been in, and it reminded me a lot of the one we visited in Connecticut back in July on our honeymoon. I can honestly say I’ve never walked through a Saks before. We were then able to check into our hotel, the Staybridge Suites Cleveland/Mayfield Heights/Beachwood. Not a bad hotel. Modern, pretty typical & standard for the brand. It was about a 30-minute drive into downtown Cleveland – so not the most convenient – but I couldn’t beat the price. I’d much rather pay ~$115 and have a little bit of a drive than even consider paying $300-$400 for a room in downtown Cleveland. Not going to happen. From the hotel, we grabbed a quick lunch at a nearby SONIC and then made our way to the historic Agora Theatre & Ballroom. I had done a little bit of pre-research & knew that parking might be limited, so I wanted to make sure we got there somewhat early. We ended up paying $5 to park in a lot behind the building, so it wasn’t nearly as bad as I’d expected. (Parking costs can vary depending on what concert is going on, though.) We then got in line – a long line – to get into the venue. Doors were scheduled to open at 6, but didn’t actually open until about 6:15. From there, it was a matter of scoping out the place. 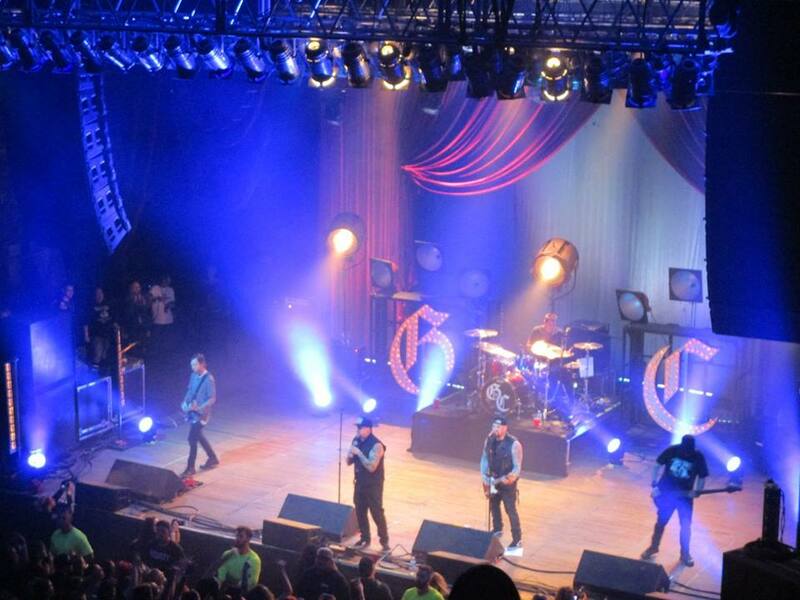 Then… it was time for Good Charlotte. I last saw them back in December 2007 as part of a Christmas concert here in Buffalo. They played along with 5-6 other acts, including Simple Plan. I was barely 17 at the time and I’m pretty sure I cried. When I heard they were touring again, I hoped I could somehow make it to Cleveland. My husband agreed to go as an early birthday present to me! Check out my video of “Hold On” below. 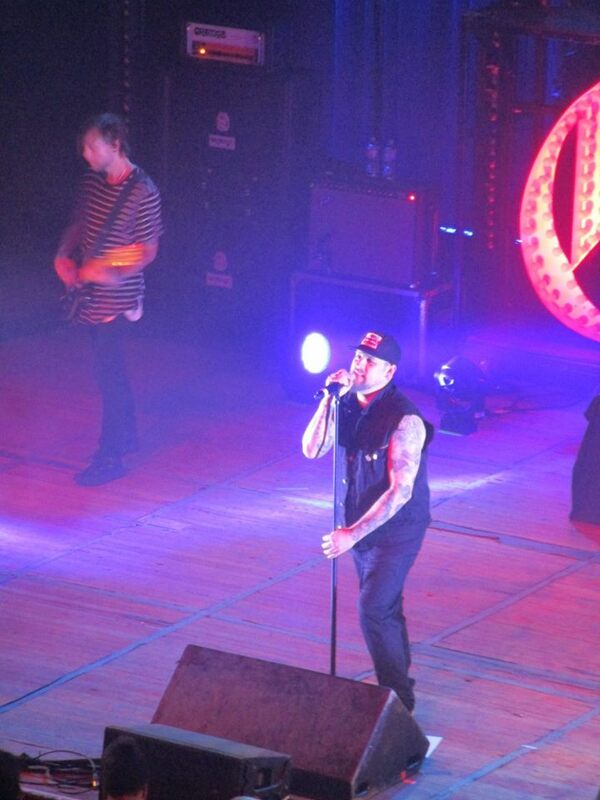 Overall – a great setlist. I was incredibly happy to see a lot of older songs on there – a nice homage to the fans who’ve been around a while. They brought great energy and sound and overall, it was a great performance. I did think it was funny when they randomly changed lyrics (did you forget them after 10 years, or?) and everyone singing along didn’t match what they sang. This concert… it brought me back. It took me back to my younger days (yes, I say that even though I’m only 25 now) and reconnected me with who I was in the past, and helped me see how far I’ve come since then. Some things change, others don’t. It’s all part of life. And yes, some of the things that plagued me back then still plague me now. But, as Good Charlotte says — hold on. 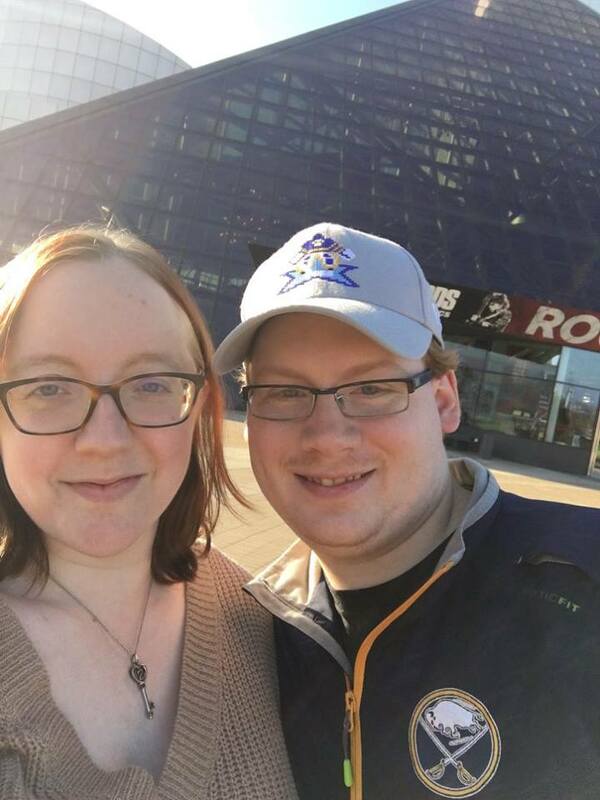 We spent easily three hours at the hall of fame.. It’s a lot of ground to cover – six stories! – and if you wanted to look even more in-depth at everything, you could be there even longer. I can see why they offer the two-day pass option. We did eat lunch at the (overpriced) cafe, and overall, by the end of our time at the hall of fame, my feet were killing me! I’m not huge into museums, I have to be in the right mood, but I did find a lot of the memorabilia interesting. 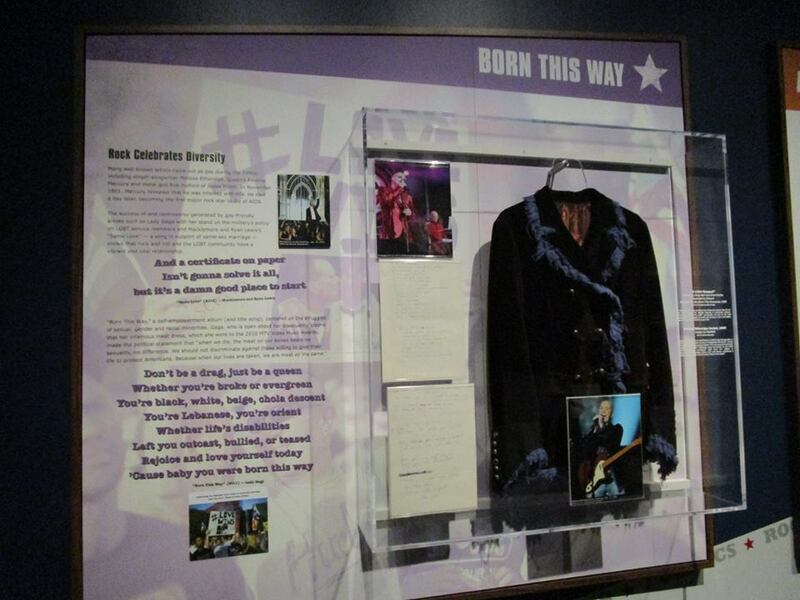 Of course, I though the exhibit on the history of music & politics & news was fascinating. It’s interesting to see how popular culture was influenced by other events of the time — and how sometimes, those events were even influenced BY popular culture. And yes, I paid for the silly tourist-y photos that put us “on the cover” of Rolling Stone magazine and all that other fun stuff. What can I say? I go for gimmicks sometimes. They’re fun memories. Eventually, it was time to head back to Buffalo – but only after a stop in Erie for Primanti Brothers (dinner) and Steak ‘n Shake (a snack). Overall, a solid trip! Now, I can’t wait for the next one. Who knows where I’ll go next?